Commissioned paintings by Viktor & Rolf. 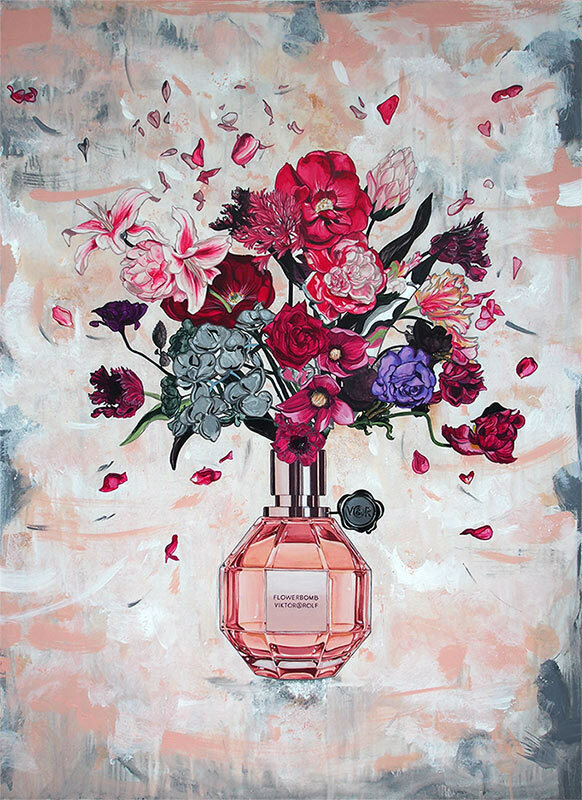 I had to reinterpret their iconic fragrances into traditional paintings on canvas. You can discover my work inside the project Fragrance Artists, a concept of Art Galleries shown in European retails.